The Food and Drug Administration has made a big push in recent months to crack down on the marketing of e-cigarettes to minors. It’s sent hundreds of warning letters to manufacturers, fined a handful, and even raided the headquarters of popular vape-maker Juul. Now, schools across the U.S. and Canada are taking a different approach by using AI-powered surveillance devices to catch students vaping — where else? — in bathrooms. According to a new story in IEEE Spectrum, more than 200 schools in the U.S. and Canada are currently using Fly Sense, an AI-powered vaping detection system. 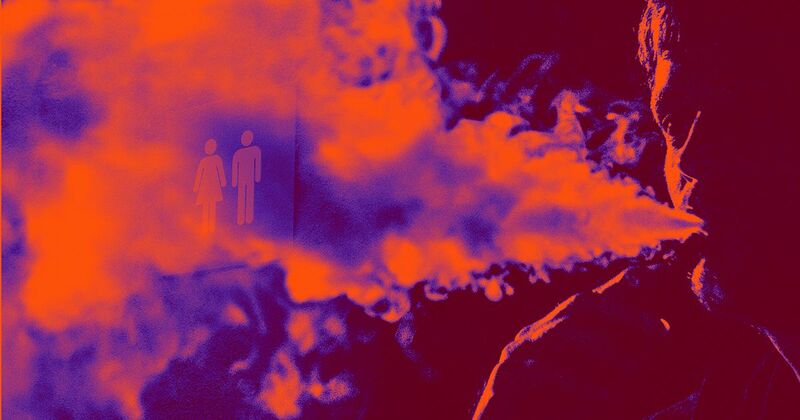 Since most underage school vaping takes place in bathrooms — where the schools aren’t legally allowed to install cameras — Fly Sense detects vaping using other types of sensors. Fly Sense’s sensors detect the chemical signatures of vaping and send real-time text or email alerts to school officials. The school can program the vaping detection system to send these alerts to different staff members depending on the time of day. Fly Sense maker Soter Technologies claims the system is between 70 and 80 percent accurate at detecting vaping — no word on how the people receiving the alerts feel about every one in five being a false alarm. According to Soter, even if it’s not 100 percent accurate, Fly Sense might scare students vape-free — locations with the system installed see an average decrease in vaping of 70 percent. So, while installing any surveillance device in a bathroom isn’t exactly ideal, until we can find a way to keep e-cigarettes out of the hands of minors, Fly Sense can at least help us keep students from vaping when they’re supposed to be learning.